Youth Initiative High School is an independent school, which means that all of our funding comes our parents, business sponsor, donors, and fundraisers run by parents and students. YIHS does not receive significant financial support from the State of Wisconsin or the federal government, which allows YIHS a pedagogical flexibility and creativity that would not otherwise be possible. Raising all our income is a yearly endeavor that takes the diligent and generous efforts of everyone in the school. YIHS exists in a relatively low-income rural community and, as with any school, our needs are many. We meet this challenge with cooperation and enthusiasm, and instead of perceiving funding as an obstacle, we make it part of our curriculum and part of our community. The school depends on a circle of giving and gratitude. The members of our community, parents, students, and faculty alike, learn how to give and receive, and how to build a community in the process. At Youth Initiative High School the tuition paid by each family comes through a “pledge system”. Tuition is based on the ability of that student and their family to contribute financially to the school. Many families simply pay the cost per student each year; some pay more, others less.Each year the Finance Committee compiles a budget and arrives at a cost per student. The cost per student acts as a guideline in a conversation between the Finance Committee and the individual families of students. Together they arrive at a figure which allows the school to remain financially secure while making an excellent education available to as many people as possible. *includes room and board as well as transportation to and from school, family support, and engagement with a local Host Family’s activities and daily life. Give us a call at (608) 637-6445 or email us. 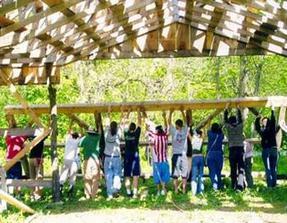 Youth Initiative offers a great holistic education and more. It engages the students in the workings of things and inspires involvement and purpose in their work in the world. Students are engaged in every aspect of the running of the school. Because of the commitment and initiative these activities inspire in the students, I think it is a form of education that should be available for more teenagers.